The exterior of the Rogue Sport isn't as distinctive as the original Murano or the Juke, but it's still instantly identifiable as a Nissan. You'll see obviously strong similarities with the larger Rogue, but the Sport is a little more youthful and sportier than its bigger brother with just as many angles and creases. Some people undoubtedly like the way the Honda HR-V looks, but it's hard to imagine too many buyers choosing it largely on its styling. The HR-V has a similar grille and lights to the CR-V, but the stubby front means this model isn't anywhere near as modern looking as the impressively popular CR-V.
Slightly unusual for a vehicle in this segment, the Rogue Sport only offers a single engine. The unit in question is a 2.0-liter four-cylinder that produces 141 horsepower and 147 lb.-ft. of torque, sending power to the front or all four wheels through a CVT transmission. 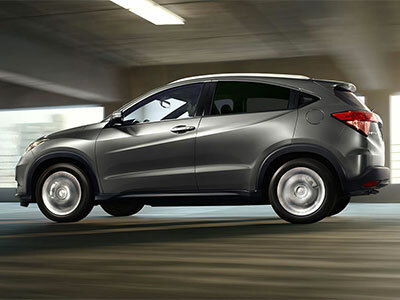 Maybe it's actually not that unusual to offer a single engine--it's the same story with the Honda HR-V. The unit under the hood of the HR-V is a larger 1.8-liter version of the 1.4-liter inline-four we see in the Fit subcompact. In this version, the HR-V produces 141 horsepower but only 127 lb.-ft. of torque through either a six-speed manual or a CVT. Clever packaging gives us high expectations for how much room should be inside our new vehicles these days, even ones as relatively compact as these two. The Nissan has a total passenger volume of 96 cu.-ft., which it uses very well. You'll find 42.8 inches of leg room and 39.6 inches of head room in the front, and as much as 61.1 cu.-ft. of cargo space with the rear seats folded down. The Honda is a slightly larger vehicle on the outside, which means 100.1 cu.-ft. of total passenger volume on the inside. You won't find as much room in the front as there is in the Nissan, but the HR-V makes up for it with more leg room for those sitting in the back. The best EPA figures the Rogue Sport gets are unsurprisingly from front-drive models, which are 25 mpg in the city, 32 mpg on the highway and 28 mpg combined. All-wheel drive doesn't punish buyers too much though, as those ratings come out at 24/30/27 mpg. With front-wheel drive and the CVT, the HR-V is now rated at 28 mpg in the city, 34 mpg on the highway and 31 mpg combined, so the Honda takes the honors here. If you can get past the Honda HR-V's unique exterior, you'll find a pretty decent little vehicle underneath. 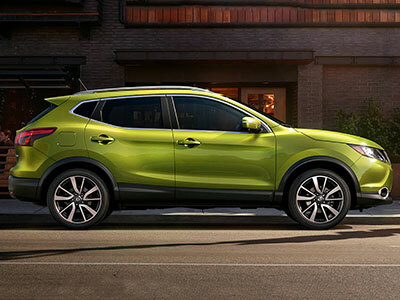 However, it's clearly not winning the hearts and minds of buyers the way the Nissan Rogue Sport is--and we can see why. Except for our selfish desire for a more powerful engine, we can't find much to find fault with in the Nissan--and that's why we recommend the 2017 Nissan Rogue Sport over the HR-V any day.